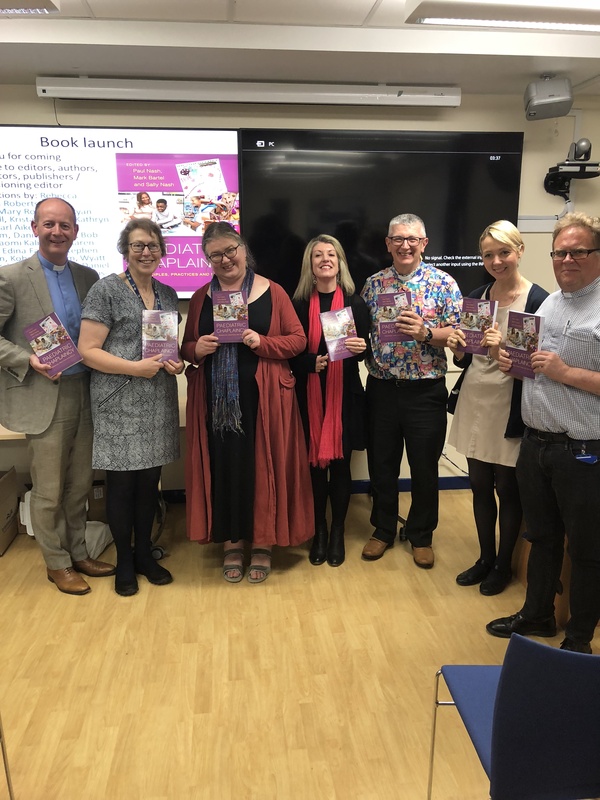 On Thursday 7th June, at Birmingham Children’s Hospital, a new paediatric chaplaincy book “Paediatric Chaplaincy: principles, practices and skills” was formally launched as part of the annual conference of the Paediatric Chaplains’ Network. This exciting new book edited by Paul Nash, Mark Bartel and Sally Nash draws the expertise of healthcare chaplains from around the world and different faith traditions to highlight best practice and skills for chaplains working with neonates, infants, children, young people and their families. Cork healthcare chaplain and clinical pastoral education supervisor the Rev. Canon Dr Daniel Nuzum contributed a chapter to this new volume on ministry amongst neonatal patients and those who cannot speak. Daniel, drawing on his experience as a healthcare chaplain at Cork University Maternity Hospital, sets out innovative ways to provide meaningful pastoral care for babies and their families in the neonatal period. The Rev. George Handzo (Research & Quality, Healthcare Chaplaincy Network, USA) describes this new book as the ‘now go-to teaching text and reference work in the field’. Presenting a paper at the Paediatric Chaplains’ Network Conference based on this work, Daniel highlighted the important role that chaplains have to play in a neonatal context when parents can experience much anxiety and uncertainty if their baby is ill. I am immensely proud to have shared in this international volume on paediatric chaplaincy and to have brought the experience of ministry in the neonatal unit at Cork University Maternity Hospital to the international stage. Working alongside highly skilled colleagues I have experienced first hand the difference that meaningful spiritual care can have with our youngest patients. I hope that this work will be of interest to colleagues both in chaplaincy and other disciplines as together we care for babies and their families. and some fellow contributors . This entry was posted in Book Launch, Books and Publications, Chaplaincies, Clergy, Clinical Pastoral Education, Healthcare Ministry, Pastoral. Bookmark the permalink.